2018 will be the year in which Princess Caroline will be a grandmother for the sixth time! 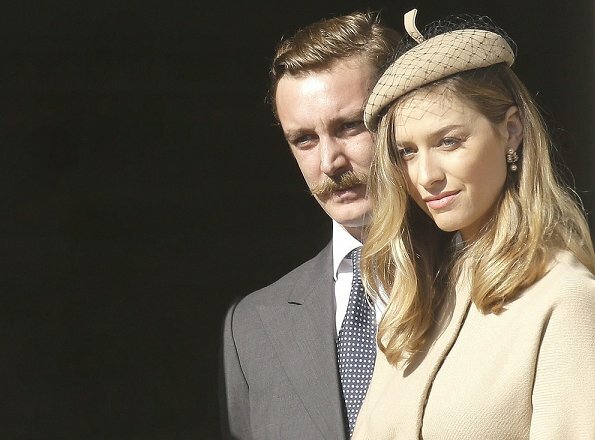 According to the statements of Italian press, Beatrice Borromeo is pregnant for her second child. The year of 2018 may give a little brother or sister to Stefano who will celebrate his first birthday in February. Last month, it was announced that Andrea Casiraghi and Tatiana Santo Domingo expect their third child. A bit soon. Hope her body healed during this time. Hopefully everything goes well. Lots of royal babies in 2018: Catherine of UK, Madeleine of Sweden, Tatiana and Beatrice of Monaco! And add Zara Tindall also. It was just announced that she is expecting her second this summer. Pierre is looking very Victorian. If true - congrats to them! I saw also the photo on Twitter where girlfriend of Louis Ducruet (Pierre and Andrea's first cousin) looked pregnant.